Whether brown bread is healthier than white bread is a hard-fought debate. For years we’ve been told brown bread is superior to white – that the latter is nutritionally devoid, just a doughy substance insidiously depositing empty calories on our ballooning waistlines. Is the truth that clear cut, or have we fallen prey to misinformation about the so-called staff of life? Well, I’m about to separate the wheat from the chaff, and reveal some facts about this common carbohydrate. How do Brown and White Bread Differ? 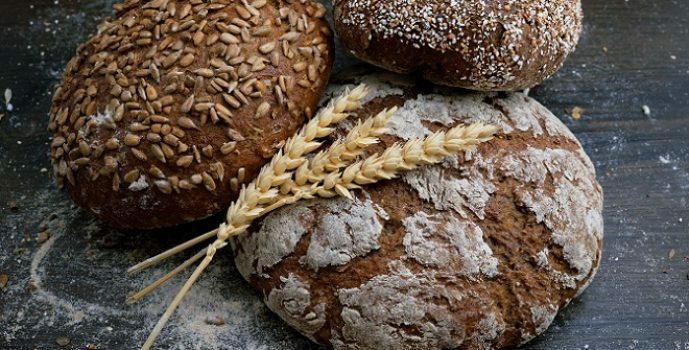 All bread – barring some gluten and grain-free alternatives – is produced in the same basic manner: ground flour from grains of wheat or rye is cultured with yeast, which metabolizes simple sugars. Carbon dioxide and alcohol are released, causing dough to rise. Heat from baking furthers the rising process until the yeast dies, and tiny carbon dioxide pockets are left behind, contributing to bread’s delightful texture. To better understand how brown and white bread differ, let’s delve deep inside a grain of wheat. Bran – the outer husk, constituting 15% of the grain. Bran is rich in vitamins and minerals, including B1, B2, B3, B6, magnesium, zinc, phosphorus and iron. The core – consisting of endosperm (primarily starch and a smaller quantity of protein), which constitutes over 80% of the grain. The germ – the part of a wheat grain that sprouts. Wheat germ contains minerals, protein, carbohydrates and fat. White bread is made from “refined” flour – so-called because the nutritious bran and germ are removed, leaving behind only the starch-rich endosperm. Conversely, brown bread is made from all three grain constituents. Additionally, the flour (often referred to as “whole wheat”) from which brown bread is made undergoes considerably less processing than its refined counterpart, which is mechanically separated using a sieve, and exposed to bleaching agents such as potassium bromide, chlorine dioxide or benzyl peroxide. Such agents remove residual colour from the flour, and increase baking predictability. This refinement process strips white flour of the nutrients inherent in whole wheat; as such, some countries mandate the fortification of white bread with vitamins, minerals, and other nutrients. White bread is softer, lighter in colour, and more neutral in taste than brown bread. There’s more to bread than white, brown, whole, or rye. 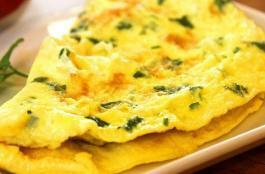 In fact, the bread world abounds with flavourful varieties, and though a little less common than the aforementioned mainstays, they’re well worth seeking out for bodybuilding diets. Sourdough hearkens back to 3,700 BC. Making sourdough is an ancient practice that has withstood the passage of millenia. It all begins with the “starter” – a fermented mixture of flour and water. Sourdough starter is rich in microorganisms such as wild yeast – naturally occurring in flour and the air – and lactobacilli (lactic acid-producing bacteria). This mixture, teeming with microbial life, initiates the leavening (rising) process, and contributes to the bread’s flavour. Sourdough starters may be replenished and sustained for many decades, allowing their unique characteristics to be enjoyed by future generations. Sourdough bread is often described as mildly tangy – a result of the bacterial fermentation process, which, alongside the yeast-based production of carbon dioxide and ethyl alcohol, yields lactic and acetic acid. Sourdough bread is often touted as a healthy alternative to white, refined bread. Is there any merit to such claims? According to Canadian researchers, white sourdough consumption resulted in a lower surge of blood glucose than yeast-leavened white bread. This moderating effect was attributed to bacterial fermentation. The majority of bread is made from ground wheat grains. So, too, is sprouted grain bread, save for one key difference: whole grains (most commonly used are wheat, barley and oats) are allowed to germinate, forming delicate shoots which, if allowed, would develop into plants. It is only after the germination process that the grains are ground. Sprouted bread is rich and nutty in flavour, earning it favour with those who view bread as more than an inert, edible slab on which to pile toppings. Furthermore, it’s nutritious: research shows sprouting may result in higher levels of fiber and grain-bound nutrients, including folate and other antioxidants. Like sourdough bread, sprouted bread appears to slow the rise in blood glucose, and many report it easier to digest than bread made from refined flour. Cost and accessibility. White bread is mass-produced, available everywhere, and despite the steps involved in the refinement process, more economical than brown bread. Predictability. Here, too, white bread has the advantage. Homogeneity is assured, and the enjoyable but somewhat bland flavour provides a blank canvas for your favorite sandwich ingredients. Taste. Most would agree that brown bread – whether yeast-leavened, sprouted, or bacterially-fermented – tastes better, due to the inclusion of bran and germ, and in the case of sourdough or sprouted bread, fermentation and germination. Texture. White bread can be delightfully chewy, but brown bread tends to offer more textural variety. Preference is entirely subjective. Yes, But Which is Better? And now, to the crust of the matter – excuse me, to the crux-of the matter: is brown bread healthier than white? Our first instinct is to say yes, but let’s consider why. 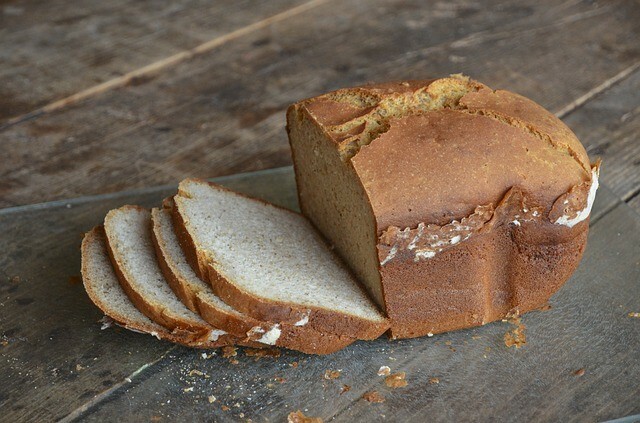 Some claims about brown bread – for example, that it causes blood glucose to surge more slowly – are disputed in a small study performed by the Weizmann Institute of Science in Israel. Researchers there found no significant overall difference between how white bread and wholemeal sourdough raised postprandial blood glucose. However, results among individuals were influenced by their microbiome – the community of microorganisms by which we are all inhabited. As was noted by nutritional experts, the study’s sample size was small – only 20 participants – and short lived (one week), making it unlikely to provide conclusive results. Variable blood glucose responses aside, brown bread provides a number of incontrovertible nutritional advantages. For one, it’s rich in fibre, which is removed from white flour during the mechanical refinement process. Dietary fibre helps normalize bowel movements, control blood glucose, reduce cholesterol, and may reduce the risk of stroke, hypertension, obesity, and gastrointestinal disorders. Brown bread contains naturally occurring vitamins, minerals and other nutrients found in the bran and germ, which, like fibre, are lost when white flour is mechanically refined. Some estimates suggest over half of our daily calories come from processed foods, making it especially important to choose more nutritious food products whenever possible. Research from the University of Maryland Medical Center indicates that the B vitamins, as well as the antioxidant vitamin E found in wheat germ, may help promote cognitive functioning, and protect against diseases of mental decline, such as Alzheimer’s. White bread is often fortified with synthetic vitamins. Whether they are dangerous or more poorly absorbed than their natural counterparts is a contentious issue – but few would argue that they are superior. Furthermore, white bread may contain added sugar, preservatives, and E numbers. Lastly, the chemicals used to bleach flour – especially chlorine dioxide – may be hazardous to health and the environment. Though, if you’re from the UK, you’ll find that white bread manufactured in the UK hasn’t been bleached since the late 90’s – it’s not a practice that’s used anymore – but I can’t speak for other parts of the world. Now, don’t judge all bread by its colour, because cheap white bread can easily be dyed, sprinkled with oats and seeds and package up as the “healthy” option. 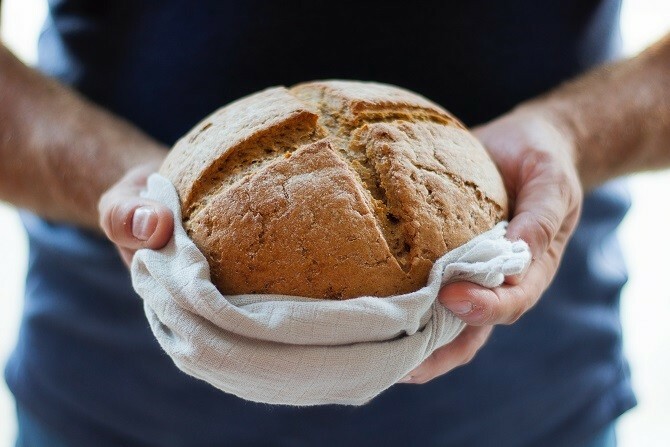 Always check the ingredients label and look out for the word “whole” – wholemeal, wholegrain, wholewheat – should be one of the first ingredients listed. 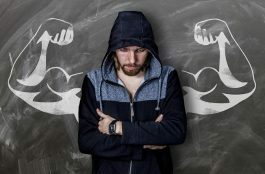 You might be wondering – “is bread good for building muscle” – well, if you’ve been following thus far, you’ll appreciate that the right breads can be a nutritious, healthy carbohydrate source used as part of a muscle building diet. Of course, muscles require protein to grow, quality brown breads contain more protein than white bread, and their high complex carbs are also an important macronutrient for bodybuilders. 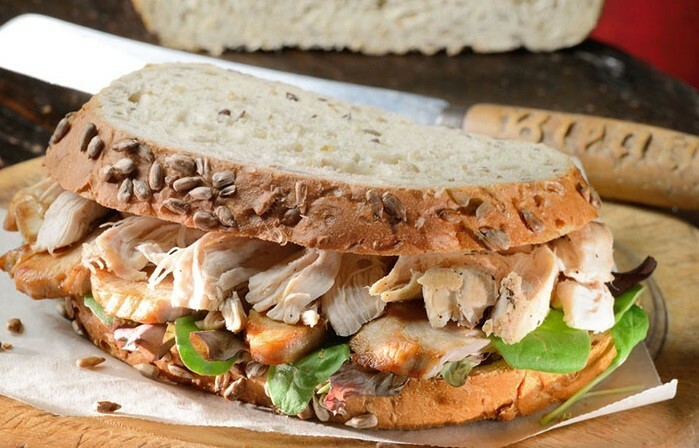 For example, a chicken breast salad sandwich with a quality wholemeal bread is a perfect muscle building meal that would provide the following nutrients. Other nutritious and great tasting ideas with brown bread – toast and tuna, toast and egg, lean steak mince burger, or toast and honey complemented with a protein shake. You could have a couple of slices of brown bread topped with organic peanut butter for high calorie snack on a bulking diet. In summary, white bread, made from refined, (sometimes bleached) and fortified wheat flour, is affordable, convenient, accessible, and homogenous. Brown bread, made from whole, unrefined flour, contains bran, endosperm, and germ, providing more fibre, heartier flavour, and a significantly better nutritional profile. If bread is a regular part of your diet, consider making the switch to unrefined whole-wheat/grain/meal – your body will thank you.